Be it your smartphone or a standalone GPS device, but having a navigation system (with embedded maps) is a must have. It doesn’t help you out if you’re lost, but also helps choose the best route, in terms of traffic, toll charges, etc. 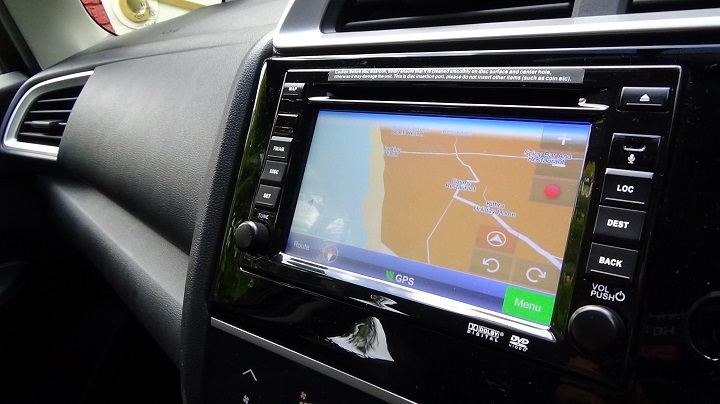 With services like Google Maps and Here Maps offering a huge map database and real time traffic updates, it doesn’t really make a lot of sense to use a navigation system/standalone GPS device. Or so you may think. The GPS units are more robust, don’t keep your phone busy, and can (depending on the provider) offer you a higher degree of information. Having said that, smartphones still do a commendable job, and if you don’t mind having your phone doing the navigation duties, the next pointer gives you information about the necessary phone accessories. Prices start at around Rs 6,500 for standalone units. Popular brands for standalone GPS devices include Garmin, TomTom, and MapMyIndia. These offer a variety of options, both in terms of services and their devices. First and foremost you need a charger, which can be as small as a key fob, can be plugged into the cigarette lighter, and you’re good to go. Or it could be a DC to AC convertor that not just charges your phone but can also charge laptops and other devices. It must be kept in mind that the latter is larger and noisier, while the former is more portable. Since phones these days offer the ability of quick charging, do check if the charger supports multiple outputs (2.1A, 1.0A, etc.). It’s best to mount cellphones and external GPS devices in a way that neither your view of the road ahead (or on sides) is blocked nor do you have to take eyes off the road to read where the map is headed. Suction mounts work well, but if you don’t want to mount the phone on the windscreen, there are smaller mounts that cling on to the top of the dashboard, too. Before embarking on your journey, ensure that the mount is in place – no one wants a cracked touch panel of their multi-tasking but delicate smartphones. Prices start at around Rs 300. Tubeless tyres (factory fitted in almost every car on sale today) are easy to repair for punctures and they don’t deflate as quickly as the tube-type tyres. Given that Indian road conditions offer a great susceptibility for tyres to be punctured, it’s best to keep a portable tyre inflator inside the car. A tire plug kit/puncture repair kit should also be there in the car at all times. And same goes for a tyre pressure gauge, especially if your vehicle doesn’t have a TPM (Tyre Pressure Monitor). 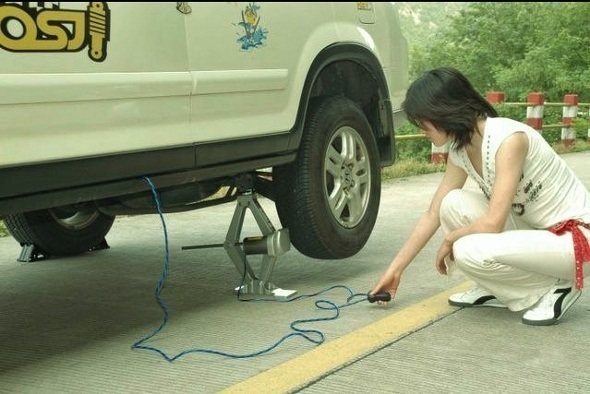 Also, hydraulic automated car jacks make changing tyres easy. The 12V ones (that can be plugged into the charger socket) are available around the Rs. 1000 mark. These draw current from the car’s 12-volt socket (charger/lighter socket) and can be very handy especially when there are no mechanics/puncture repair shops around. While the confines of an airconditioned cabin will keep you cozy on long drives, driving for a long period can be taxing on concentration as well. The body needs a break as well. So while routine stops are advised, it’s also vital to not lose energy. Drink water and consume chocolates/health bars, especially if a proper meal is not possible. There are popular cars that come with cooled gloveboxes, which ensures that water bottles/snacks (in case of chocolate bars) stay cold. In case you’re off to a road trip, it’s always a nice idea to have a portable (car) fridge with you. Synonymous with being versatile, a swiss army knife can be very handy in case of an emergency. The in-car toolkit (should be present in the car always) will take care of securing nuts and bolts, but it’s always nice to have a Victorinox (or any other good brand that you prefer) handy. While the basic Swiss Army Knife can do most cutting/shredding tasks, there are more rugged versions available, too. Also, worth checking out is the flat Swiss Army Card Knife, which might offer less tools, but with a flat form factor, it’s easier to carry! Make sure to have reflectors around the car in case it breaks down in the night. And if you’re changing a flat tyre, don a reflective vest to let the traffic know about your presence. Failing that can lead to injuries from the oncoming vehicles. Apart from these, you should always carry your car’s registration papers and your valid licence at all times. If you have kids travelling along, you could also take a few comics, magazines, or even portable video game consoles along to keep them entertained. Keep a spare phone, and emergency contact numbers too.